San Antonio women, next Monday offers an opportunity to get some high-powered mentoring in your corner. Firecat CEO Susan Price is one of several mentors available to get guidance in a fun, speed-dating type format. 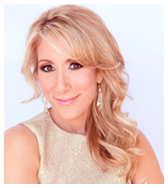 The San Antonio Business Journal will present a video keynote from Shark Tank's Lori Greiner and provide an opportunity to get 5 minutes with several connected San Antonio businesswomen.